My oldest son and I learning about this hadrosaur lower jaw and the magnificent teeth, being uncovered by Jessica Hawthorn (@JHawthornUTM). Photo by Michelle Follett. 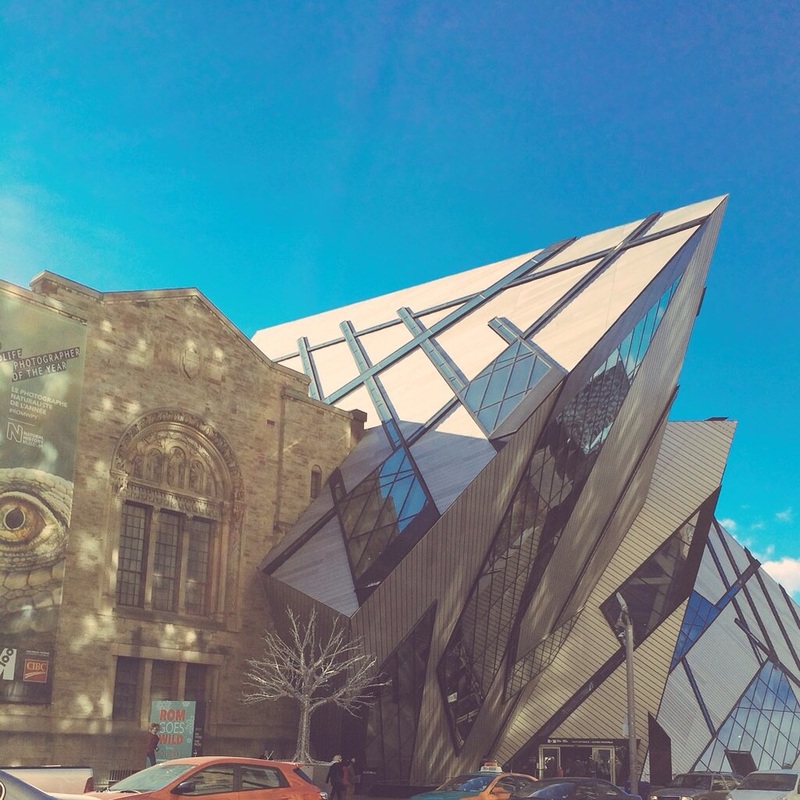 A perfect start to 2015: my family and I went to the Royal Ontario Museum (@ROMtoronto) today. We have a family membership, and since our youngest was born almost a year ago, it's been challenging to all head out together. So today was a great day. A personal highlight for me was finally meeting Kiron Mukherjee (@kironmukherjee), the tireless social media presence for the ROM. The man is a machine on Twitter. One of my favourite features of the museum is how social media seems woven into their worklife. Many people from the ROM team are active on Twitter, Instagram, Tumblr and more. As a kid it was my destination of choice for birthdays and events: now, thanks to so many personalities there - @RudkinDave, @aprilsMuseum, @mesozoicmuse and the departments like @ROMpalaeo & the rest - the museum feels woven into the everyday fabric of life in Toronto. I first wrote about about the ROM here in The Flying Trilobite back when this blog was only a couple of months old, in 2007. 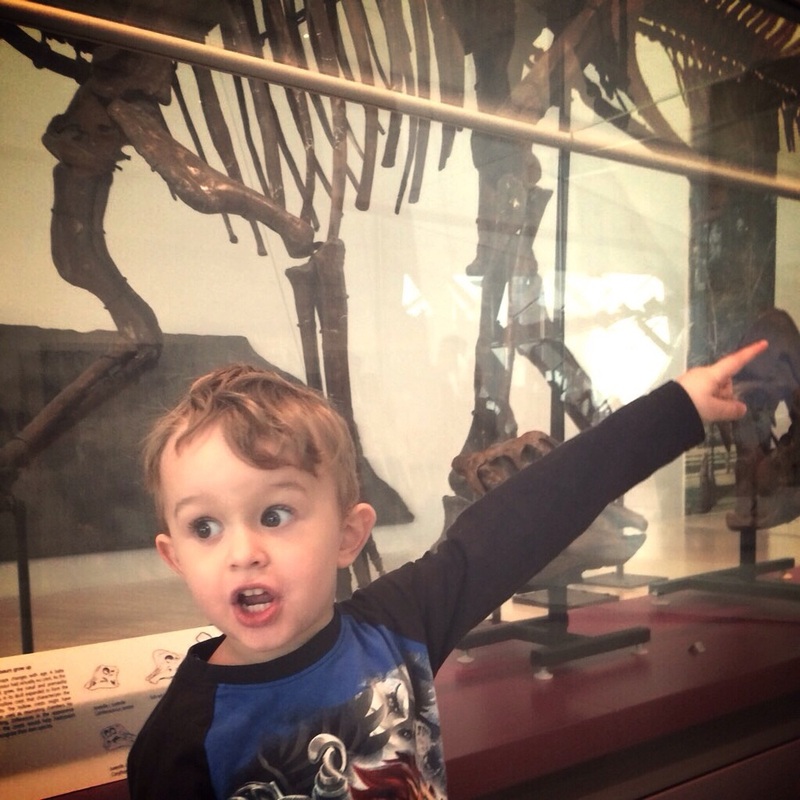 It's exciting to watch the museum change and grow, especially now that I have two children to share it with. Here are a few more pictures from today's adventures. I did not have time to sketch while scrambling after our 4 year old but that's alright. We don't live far away and the membership takes the pressure off of doing everything in one day. The most significant sketch I have perhaps done on-site was a preparatory sketch of the Allosaurus skull commissioned by author Brian Switek (@Laelaps) for a place on his arm. I have another tattoo commission in the works and took some more reference photos at the ROM today. It's going to be a good year, and it's such a tremendous feeling to know that Michelle and I could take our boys to a museum that excited and continues to educate us as well.